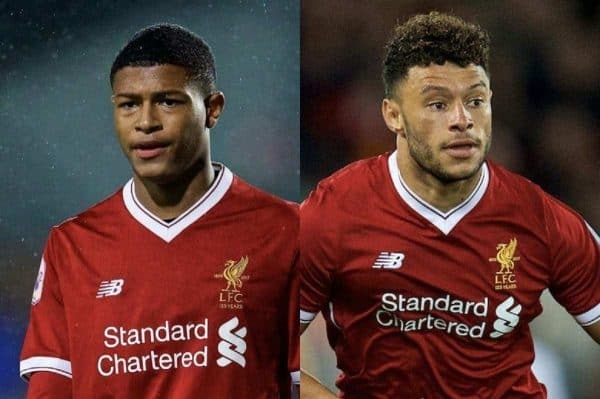 Jurgen Klopp has discussed the fitness of long-term absentees Rhian Brewster and Alex Oxlade-Chamberlain, and when they could make their Liverpool return. Brewster, who has been out of action since the start of 2018, and Oxlade-Chamberlain, ruled out following a serious knee injury suffered against Roma in April, have kept each other company throughout their rehabilitation. But the timescale on their recoveries is not the same, with the 25-year-old much closer to a return to full training—as Klopp excitedly revealed in December. Initially, Brewster expected to be back in action over Christmas, but speaking at Melwood on Friday, the manager provided a less optimistic take on his ankle and knee problems. “Not as far as he wants to be for sure, but I saw him in the last hour, he was outside training,” he said. “His running looks much better since he had this other little surgery. “He’s in a good way, but that will take time unfortunately. “It’s no problem here. He has the time, and I would say we don’t have to think about him before pre-season. “But he’s in a good really way, and the boy’s in a good mood on top of that. “We see him here every day. Nice fella, and he’s really integrated into the team. “So far he couldn’t show that on the pitch, but our opinion about him will not change. 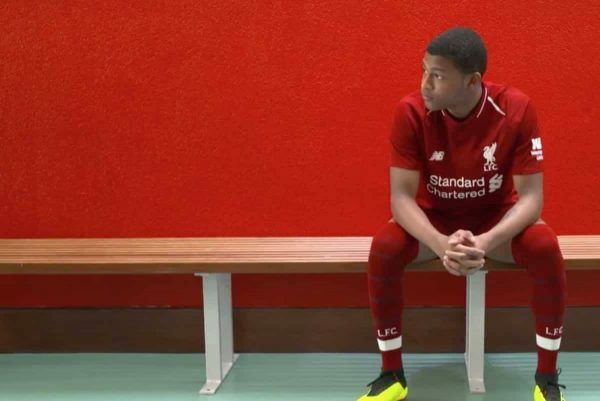 As Klopp stresses, there should be no expectation on Brewster, even when he is brought back into the fold—as at just 18 he is yet to even make his debut for the first team. 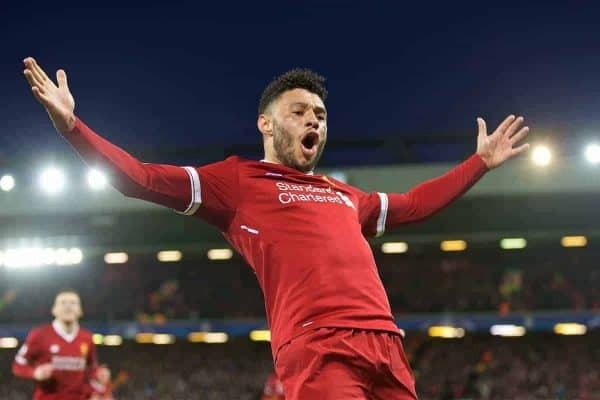 Oxlade-Chamberlain, however, is already considered a key player at Anfield, and though such a long spell on the sidelines should also temper projections of his role this season, Klopp believes he will be back before May. “He’s closer than Rhian,” he explained. “He’s on a very good way, but that will still take [time]. Last time I put a bit of pressure on the medical department! “When I see him running, or when I see him moving with the ball and all that stuff, what he’s doing already, that looks really good. “Promising, close to a return. But he’s so long out—April, what a situation against Rome. “But it will be fine. It looks completely without any problems in the moment, no swellings anymore, stuff like that.